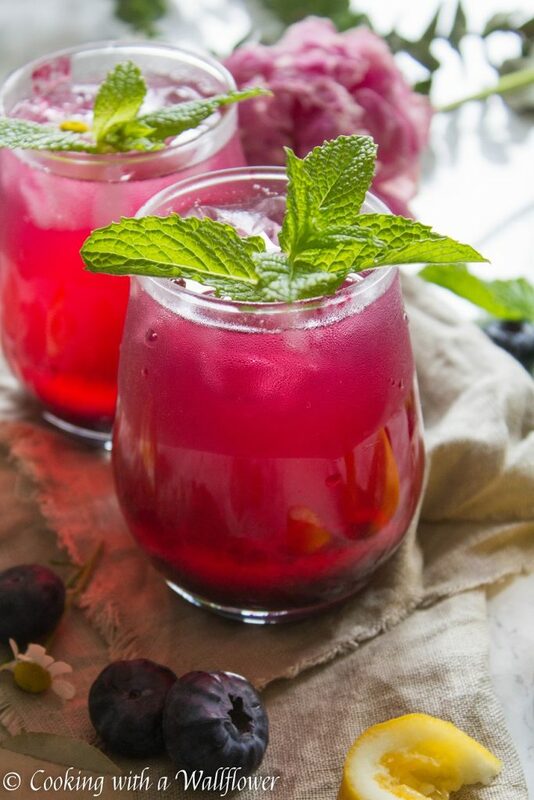 Lemonade sweetened with blueberry simple syrup. 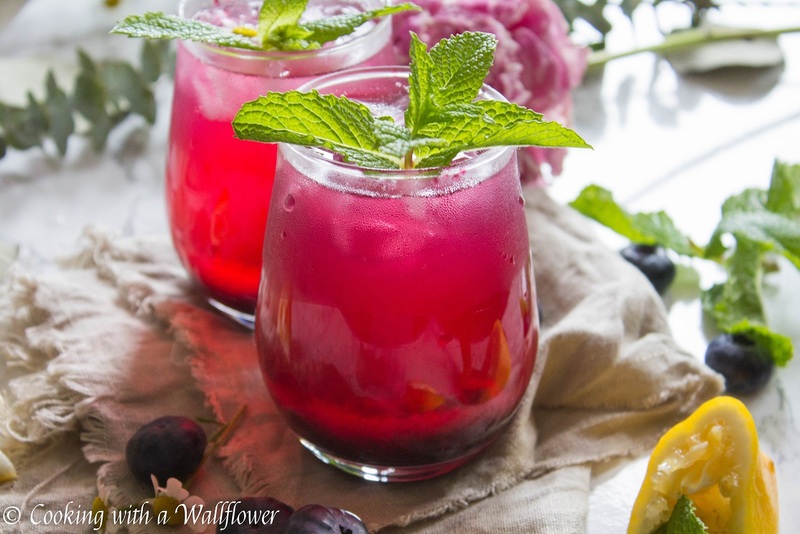 This blueberry lemonade is so refreshing and one of my new summer favorites. Another half week has gone by and it’s already the middle of July. Time seems to slip by so fast lately. I’m not sure if it’s because I have so much planned during the weekends this summer or if it’s like that for everyone else. Do you feel like summer is passing by so fast? This upcoming weekend, we’re having a little summer gathering for my cousin who is moving to Southern California in just a few weeks. I’m also scheduled to have a foodie day with her so follow on Instagram for those pics next week. The weekend after, I’m headed to the Sacramento State Fair. I already know I’m going to melt from the heat! Lol. 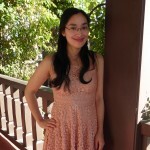 And the weekend after that, the NorCal Night Market, which I am sooo excited for! I mean, around 100 vendors in one place? Who wouldn’t be? I’m kinda sorta excited for the rest of summer. What do you have planned? Anyways, warm summer days mean that I need a cold glass of refreshing lemonade in my hand. Or maybe iced tea. Either one would do. 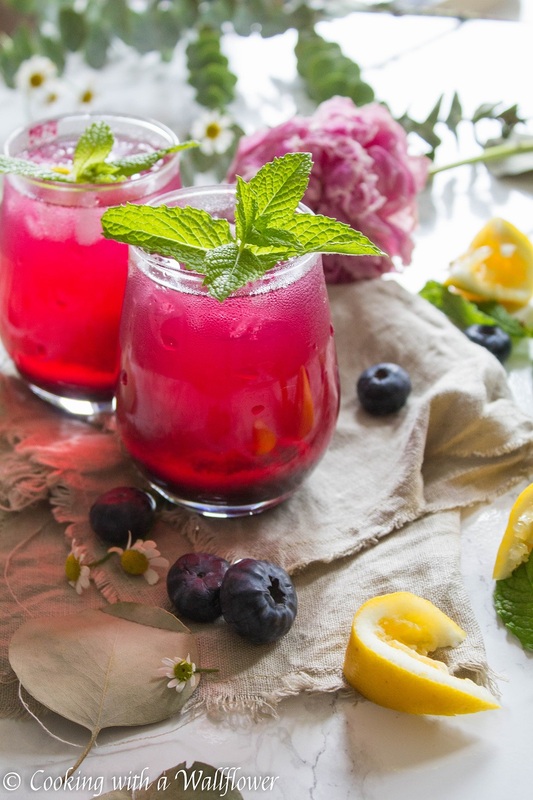 Which do you prefer: lemonade or iced tea? Or both? The thing about lemonade is that there’s so many ways to spruce it up. Sometimes you can add strawberries, or mint, or both, or add watermelon or pomegranate juice. So many different ways to take a classic drink to the next level. In a small pot, add fresh blueberries, water, and granulated sugar. Cook the blueberries for about 10-15 minutes until the blueberries have broken down and start to thicken. Let the blueberry simple syrup sit for a few minutes to thicken. Add freshly squeezed lemon juice in a large jar. Pour in water and mix until combined. Add blueberry simple syrup to taste. 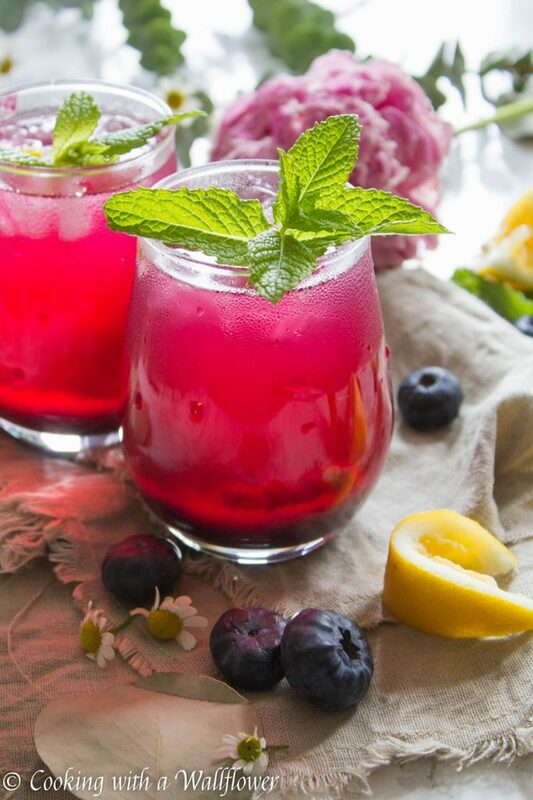 Divide the blueberry lemonade into two small glasses. Top with crushed ice. Serve the blueberry lemonade cold. 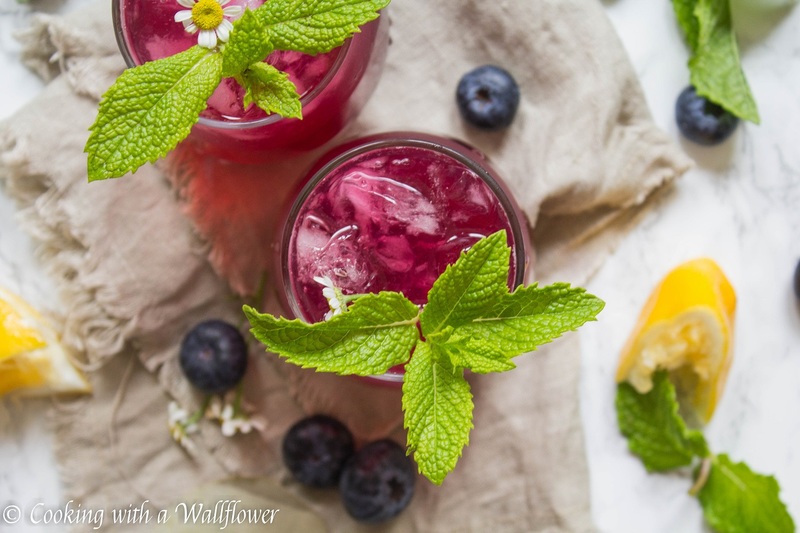 Serve the blueberry lemonade cold and garnished with mint. 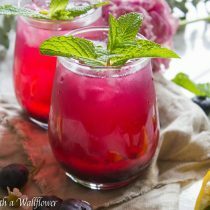 This entry was posted in Beverages, Farmer's Market, Gluten Free, Healthy, Lemonade/Limeade, Quick and Easy, Recipes, Summer Cravings, Vegan, Vegetarian and tagged beverage, gluten free, quick and easy, summer recipe, vegan, vegetarian. Not something I would have thought of, Andrea, and it sounds wonderful. Than you for sharing here, and have a great weekend! 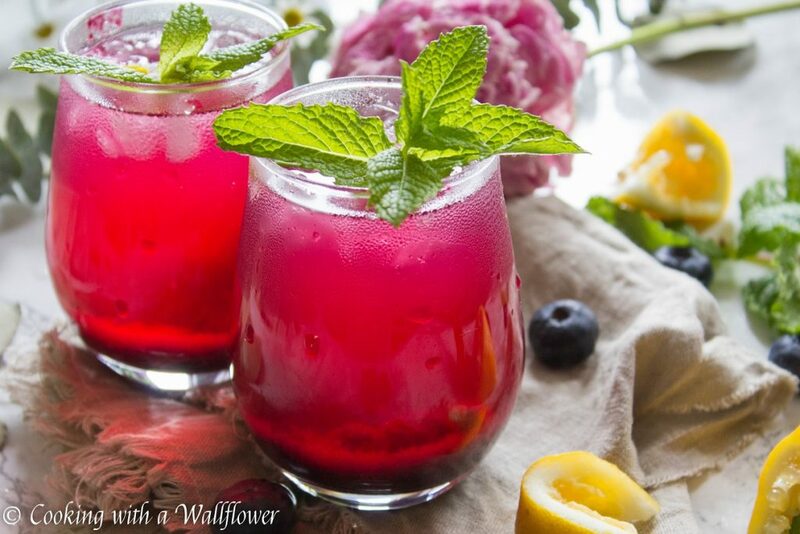 What a perfect summer refresher!